15 Gerberas Mix White and Pink color in a Glass Vase. 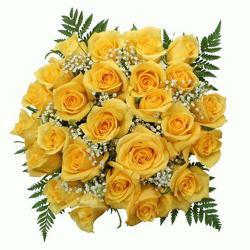 Checkout this lovely gift which is all set to elate the one you adore on all special occasion. 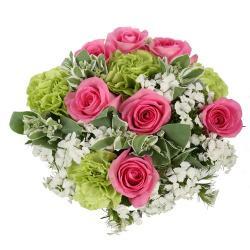 Fifteen Mix Pink and white gerberas are neatly arranged in Glass Vase. 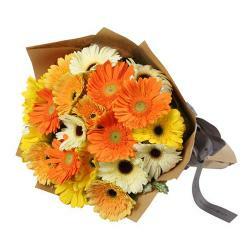 Gerberas symbolized purity, cheerfulness, and innocence. 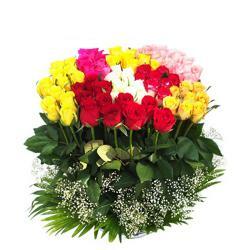 These flowers are perfect for gifting solution in occasions like birthday, anniversary, wedding, friendship day, mothers day, fathers day, womens day and many more. Express your feelings by gifting this amazing gift item to the one you love on this special day and make him/her feel very much special. So go ahead and place your order now at giftacrossindia.com and get express delivery within 24 hours. 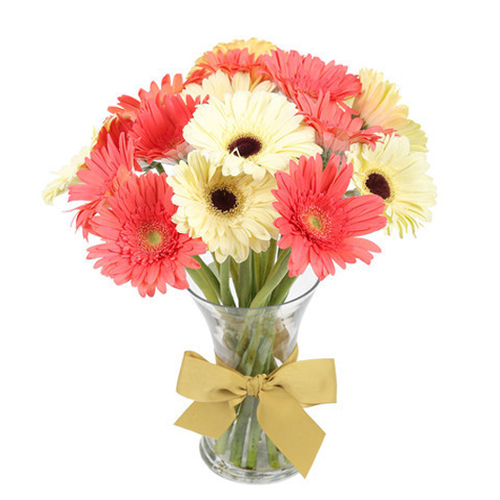 Product Details : 15 Gerberas Mix White and Pink in a Glass Vase.